Iperius Backup supports any tape drive, starting from the common HP DAT 72 USB or SCSI, to AIT, DLT and SDLT, and up to the powerful and high-capacity LTO 5 and LTO 6 devices, that allows to back up several terabytes. 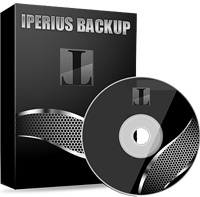 Iperius Backup is an advanced software for FTP backup on any type of server or NAS. Iperius can send backups to a remote server with a few simple configurations, with the secure FTPS protocol and also with zip compression and AES 256 bit encryption. Iperius can perform automated upload of entire websites, limit the transfer bandwidth, make parallel transfers to multiple servers and help system administrators to build a centralized backup strategy for clients.